Is there car insurance for SSI recipients? How do you get car insurance for SSI recipients? The federal Supplemental Security Income program, otherwise known as SSI, was developed in the early 1970s by President Nixon in order to help the elderly and disabled escape the struggles of poverty. While studies have shown that it is a help to thousands of Americans living with limited income, it was designed as a supplement rather than a primary source of income. An SSI recipient living alone with no additional income received less than $600 a month in 2005. That amount is significantly reduced for those receiving financial support from other sources or living with loved ones. That’s why the average SSI payment in 2003 was less than $450 a month. Those rates are adjusted each year to reflect changes in the cost of living, but a recipient living alone without any other source of income in 2015 still received less than $750 each month. Some states provide further monthly assistance to qualifying SSI recipients on top of these federal payments, but it’s still difficult to pay all of your expenses when working with such limited resources. Car insurance is one of the most difficult expenses to accommodate because it isn’t considered an essential for survival, but it is necessary for most consumers today. Whether you work or not, you need auto insurance so that you can drive to doctor’s appointments and lead a healthy and engaged lifestyle. One common misconception is that insurance companies charge the disabled and elderly higher rates. It’s true that some medical conditions may put you in a higher risk category, but not all disabilities are treated in that manner. Talk to your medical provider to determine whether your condition is considered a risk, and ask if they’ve reported your condition to the state. If they haven’t, then your insurance company won’t know about your medical status when you apply for coverage. Even if your medical provider has reported your medical condition to the state as a potential risk while driving, there are still ways to save money on your policy. Go online and compare quotes from a variety of insurance providers. It’s often surprising how affordable rates are for many SSI recipients. While the cheapest policies will catch your eye, make sure to consider the terms of the policy as well. Adding your name and vehicle to another driver’s policy is often cheaper than taking out a policy individually. If you don’t own a vehicle but regularly drive a loved one’s car, then you may only need to add your name as a driver to their policy. Most insurance companies will require you to live in the same residence or within the same zip code as other drivers on the policy. Insurance companies assign higher risk to some cars than others. Something as simple as a safety rating or the color of your paint could make a difference. Now that you know how to secure the most affordable policy, how do you pay your premium while living on a restricted income? There are several strategies that you may consider beyond setting aside a portion of your SSI payment each month. If you qualify for SSI, chances are high that you also qualify for Medicaid. Many states now offer supplemental insurance programs that benefit Medicaid recipients. For instance, the State of New Jersey offers the Special Automobile Insurance Policy program. The policy is only offered to those signed up for specific Medicaid programs, but it provides a death benefit and coverage of select medical expenses after a car accident. If you’re mentally and physically able to work, look for state-sponsored programs that assist you in finding suitable work opportunities. The Ticket to Work program is a good example. While the program is federally funded, each state is responsible for assisting recipients to ensure they find work opportunities that boost their financial standing without causing physical or mental discomfort. The more you earn outside of the program, the less support you receive each month. Each state sets limitations on how much money you can earn before your qualification for SSI is eliminated. There is still a sweet spot where you can bring in money through hard work while still receiving adequate supplementation from the program. Study your state’s financial requirements to figure out how much you can earn to hit that sweet spot. Even if you only earn a couple hundred dollars a month through work, that is enough to pay for your auto insurance and some other expenses. If you receive a large payment, you can use a spend down system to take care of bills like your auto insurance without interfering with your long-term eligibility for SSI. The goal is to spend the money within the same calendar month it is received so that it only counts as income for that month. Your auto insurance is a great way to spend the money quickly because most policies are cheaper if you pay in full upfront rather than paying in installments. If a loved one wants to help you financially, ask them to give you one lump sum so that you can spend it quickly and preserve your SSI eligibility, eliminating a bill that you will otherwise have to pay monthly. 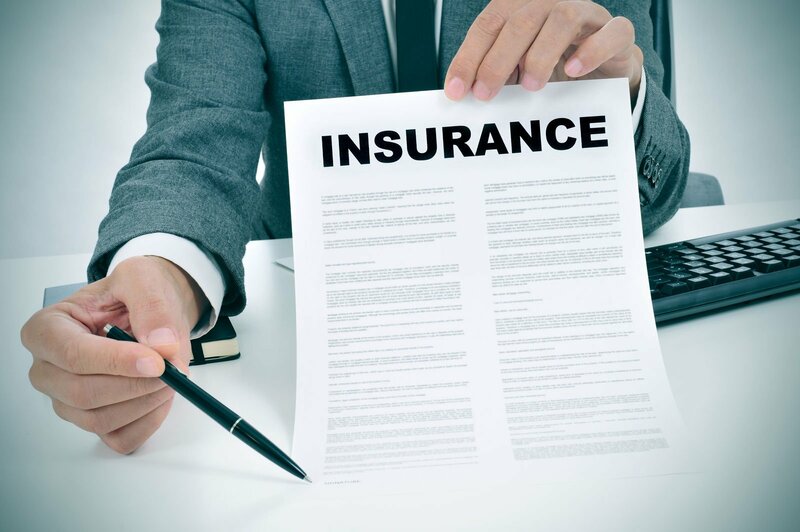 You don’t want to suffer the penalties that come along with a lapse in car insurance coverage, so consider paying your full premium upfront on each renewal date. Compare prices online to find an affordable policy, and then mark the renewal date on your calendar. If you can pay it in full out of one month’s SSI check, you won’t have to worry about it the remaining months.